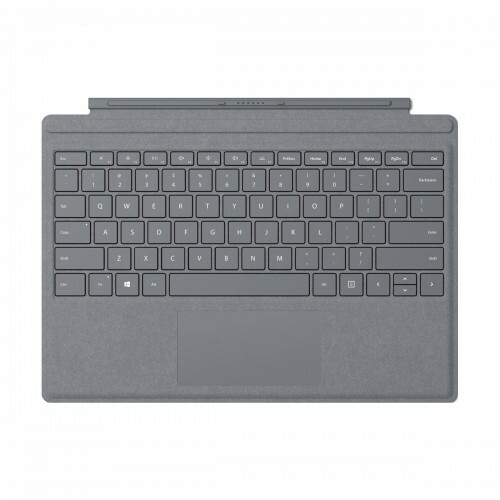 Surface Pro Signature Type Cover adjusts to virtually any angle and clicks easily into place, transforming your Surface Pro1 from tablet to laptop. Fold back like a magazine for a take-anywhere tablet. Close to shield your display from damage and conserve battery life. Surface Pro Signature Type Cover not only provides a luxurious keyboard and typing experience, it reflects your personal style. Choose from four colors2—Platinum, Cobalt Blue, Burgundy, and Limited Edition Aqua—that coordinate beautifully with Surface Pen1 and Surface Arc Mouse.